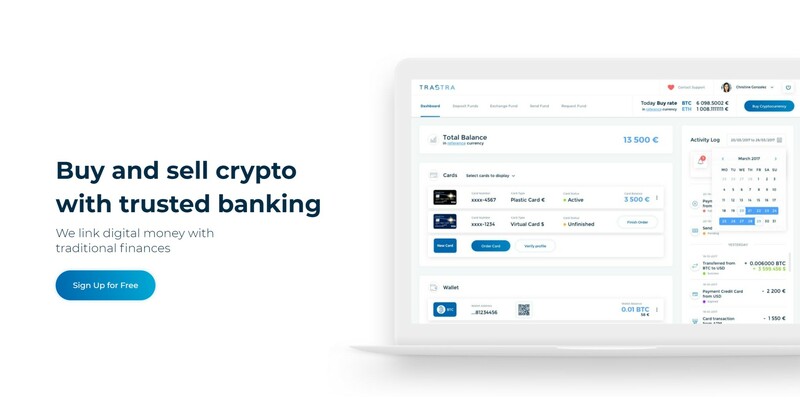 We are TRASTRA - easy and fast banking for cashing out crypto. Our mission is to make cryptocurrency easy usable in day-to-day life. This is how we provide our customers with powerful solutions to fulfill all their crypto needs: Multi-Sig Bitcoin and Ethereum wallets: * free for everyone * secured with 2FA and device confirmation * used to store, buy and sell crypto Payment account with IBAN: * make crypto cash out independent and bank-ban free * use to buy crypto fast with bank transfers on market rates * get a secure solution to top-up crypto wallets * exchange crypto to fiat fastly * send euro internally with no fees * make SEPA and International transfers easily and swiftly All dedicated customers are awarded with PRO User status making exchange rates lower for them. We are always in touch in all social media channels and our chat to deliver top-notch service and to make the process of using TRASTRA services clear.